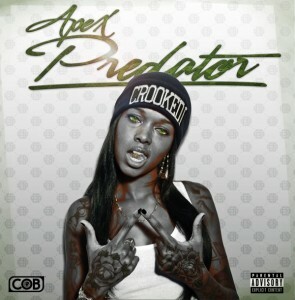 West coast vet and Slaughterhouse member Crooked I has been doing the rounds with C.O.B. radio, but has also been hard at work on some new material. His unveiled his latest project late last month. Entitled Apex Predator, the forthcoming project will be his first new solo project in a while, since his previous releases as Slaughterhouse. While details are patchy, Crooked I has unveiled its cover art. Apex Predator is due out July 30th.